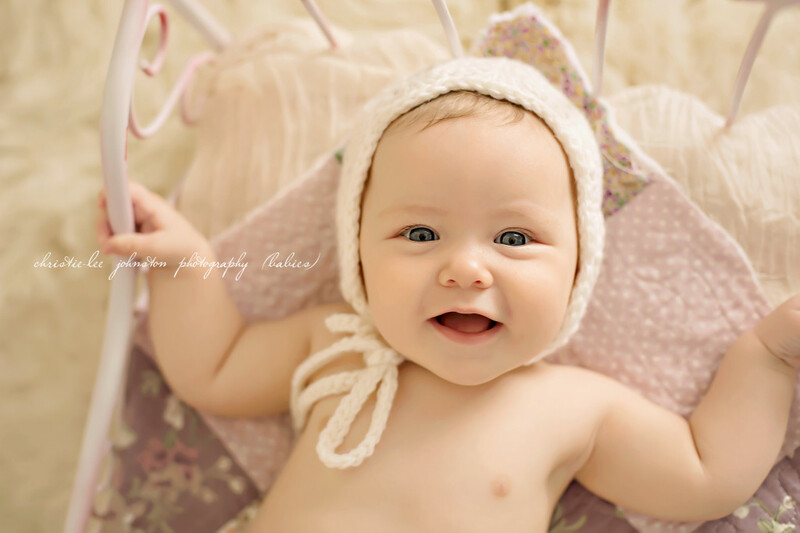 My lovely friend, Tiffany, brought her 4 month old little girl into the studio for some updated shots. I just love capturing how little one’s grow. They change so fast! She wasn’t feeling like modeling to start with but I won her over with some nursery rhymes and silly faces.